Rice U. Researchers Generate "Tunable" Self-Assembling, Flexible But Cohesive Materials Using Magnetic Beads And DNA "Springs" BioNews Texas BioNews TexasRice U. Researchers Generate "Tunable" Self-Assembling, Flexible But Cohesive Materials Using Magnetic Beads And DNA "Springs"
Researchers involved in a Rice University project to build models for polymer macromolecules of colloidal particles that can be tuned for flexibility, are using magnetic beads and DNA “springs” to create chains of varying flexibility that can be used as microscale models for polymer macromolecules. They say the experiment is visual proof that bead-spring polymers, introduced as theory in the 1950s, can be made as stiff or as flexible as required and should be of interest to materials scientists who study the basic physics of polymers. 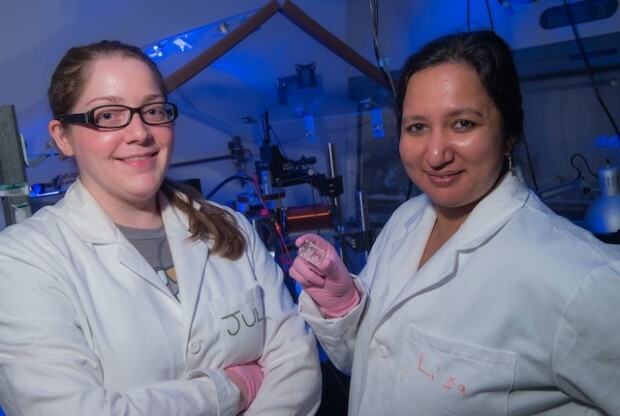 Findings from the work led by Rice Associate Professor in Chemical and Biomolecular Engineering, Sibani Lisa Biswal and graduate student Julie Byrom was published this month in the American Chemical Society journal Langmuir. 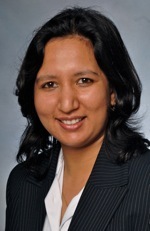 Dr. Biswal’s research program focuses on using chemical, biological, and engineering approaches to study soft materials such as colloids, polymers, lipids, and surfactants. One of the Biswal Lab’s main research interests has been development of new materials using colloidal particles. These synthetic materials are chains of patterned magnetic colloids that have rigidity and length specificity, and are able to demonstrate capability for folding, self-assembly, and specific chemical and biorecognition. “What I’m interested in are systems that self-assemble. We want to properly design objects so that when combined, these objects will arrange themselves together automatically,” says Dr. Biswal, who works with paramagnetic colloids particles containing random traces of iron oxide that organize into linear chains under the influence of an external magnetic field, in a Rice U. release. She is researching methods for linking colloids, using proteins, DNA or other molecules, so they remain in chains even when a magnetic field is removed. The idea is to create flexible structures that can bend but stay together. “Fantastic new structures with different functionalities can be created with these particles,” she explains. Another of the Biswal Lab’s areas of interest is the use of microcantilever beams to investigate the lipid-dependent mechanisms responsible for vesicle rupture and bilayer fusion to form supported lipid bilayers and monolayers. These supported lipid bilayers have been widely studied as model systems for elucidating the properties of lipids, membranes and membrane proteins. Multiphase flow systems in microfluidic systems are used to study foam stability and polymer gelation. A new area of research Dr. Biswal’s group has moved into is use of new assembly methods to develop novel materials for batteries and solar technology. 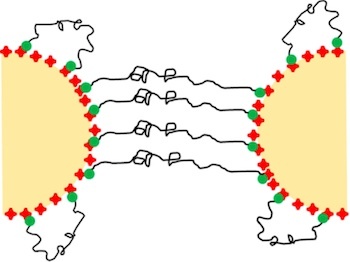 The Langmuir paper, entitled “Directing Assembly of DNA-Coated Colloids with Magnetic Fields To Generate Rigid, Semiflexible, and Flexible Chains” (Langmuir, Article ASAP DOI: 10.1021/la500993 Web Published: July 23, 2014), is coauthored by Julie Byrom, Patric Han, Michael Savory, and Dr. Biswal, all of the Department of Chemical and Biomolecular Engineering at Rice University in Houston. The coauthors report formation of colloidal macromolecules consisting of chains of micron-sized paramagnetic particles assembled using a magnetic field and linked with DNA. They note that interparticle spacing and chain flexibility were controlled by varying the magnetic field strength and the linker spring constant. 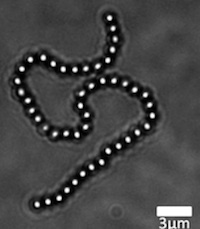 The researchers found the best way to study the theory was to assemble chains of micron-sized colloidal beads with nanoscale DNA springs of various lengths, which allowed for generation of chains with improved range of flexibility as compared to previous studies, noting that these chains adopted the rigid-rod, semiflexible, and flexible conformations that are characteristic of linear polymer systems. Microscopic solids suspended in a liquid like the fat particles in milk or pigment particles in paint are examples of a colloidal system. Dr. Biswal says there has been great interest in creating colloidal molecules, and the Rice experiment is a step in that direction. To make complex colloidal macromolecules, the researchers started with commercially available, iron-rich polystyrene beads coated with a protein, Streptavidin. The beads are charged to repel each other but can connect together with springy DNA fragments. The chains formed when the researchers exposed the beads to a magnetic field. These innovative assembly techniques were investigated to determine the effects of the nanoscale DNA linker properties on the properties of the microscale colloidal chains. As expected, when the researchers made chains with short (about 500 base pairs) DNA bridges, the macromolecule remained stiff. Longer linkers (up to 8,000 base pairs) appeared to coil up between the beads, allowing for movement in the chain. Surprisingly, when the researchers reapplied the magnetic field to stretch the long links, they once again became rigid. With stiff DNA linkers (564 base pairs) the chains were only stable at moderate to high field strengths and produced rigid chains. For flexible DNA linkers (8000 base pairs), high magnetic field strengths caused the linkers to be excluded from the gap between the particles, leading to a transition from very flexible chains at low field strengths to semiflexible chains at high field strengths. In the intermediate range of linker sizes, they say the chains exhibited predictable behavior, demonstrating increased flexibility with longer DNA linker length or smaller linking field strengths. This study provides insight into the process of directed assembly using magnetic fields and DNA by precisely tuning the components to generate colloidal analogues of linear macromolecular chains. Now that they’ve demonstrated that they can create polymer chains with predictable behavior, the Rice researchers plan to study how the chains react to shifting magnetic fields over time, as well as how the chains behave in fluid flows.